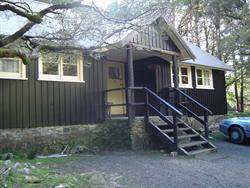 Waldheim Cabins offer an authentic wilderness experience in the intensely beautiful Tasmanian Wilderness World Heritage Area just five kilometres from the famous Cradle Mountain. 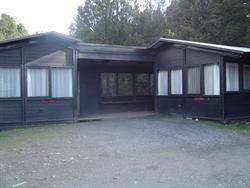 Ideal for budget family and group accommodation. 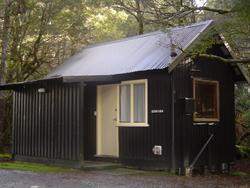 Eight cabins provide simple and affordable lodgings where a number of great walking tracks radiate from your front door. 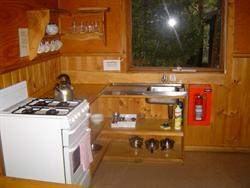 Each cabin is equipped with electric heating, single bunk beds, basic cooking utensils, a small refrigerator, crockery, cutlery and a standard electric stove. 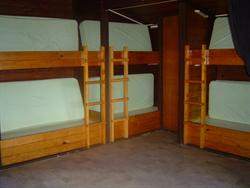 Linen is required to be booked for each person but only once for the duration of stay. Linen must be ordered at least 24 hours in advance, otherwise linen may not be available. Tap water at the cabins is not potable. Please Note: RVs caravans and trailers are not permitted on Dove Lake Road. Caravans and trailers may be un-hitched and parked in the main carpark at the Cradle Mountain visitor centre. There is an afterhours key collection service available. Our Opening Hours are 8:30am to 4:30pm until first Friday in September. A $25 to Parks and $22 to the booking centre cancellation fee applies if you cancel more than 14 days before your scheduled arrival. After this time refunds do not apply. If a cancellation is made at short notice due to ill health a medical certificate is provided and application made in writing a full refund may apply. This only applies to the sick party member and not the entire party. All refund applications will be considered on a case by case basis. Waldheim Cabins are located in an area that is subject to adverse weather conditions; road closures may occur under the direction of the road management authority therefore restricting access to accommodation. Please refer to Travel Itinerary terms and conditions for details. 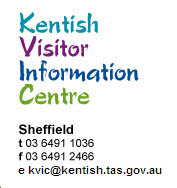 Be aware there is no access into the National Park for Campervans for Caravans.